During a birthday party Molly and I discussed picking a date for her family session. She envisioned flower crowns and wind blown hair. We decided to go to a park in a part of town she once lived to capture the whole family relaxed in the sunshine. 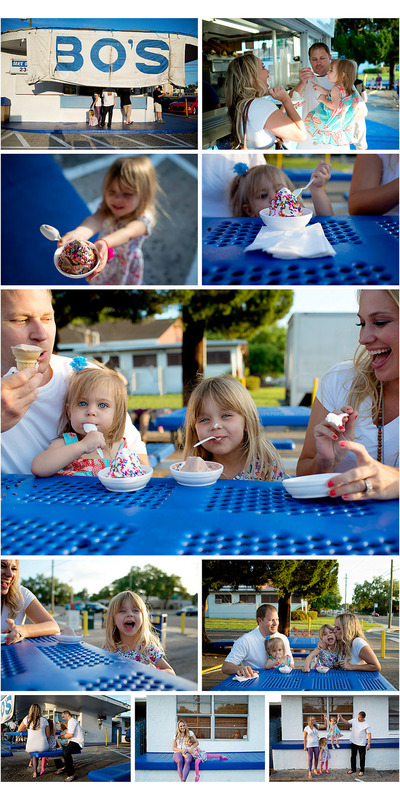 When the girls were done with the park we then headed over to Bo's, a well known ice cream shop in Seminole Heights. We did find a patch of flowers for Lila to do some twirling!